Recently I had an extended visit from my mother. She has limited mobility and we live in a 3 story home with access unfriendly everything. We managed to make some temporary adjustments so that she was comfortable. The biggest issue we faced was how to accommodate bathing. We made do with what we had, and made some temporary adjustments, but as soon as we need to make any changes to the bathrooms in our home we will make sure that the updates are aging friendly. 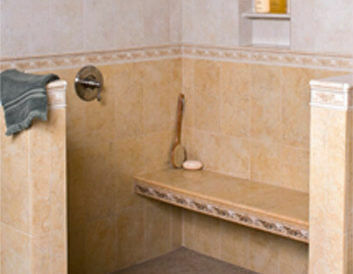 It is ideal to have a permanently built-in grab bar in all of the places needed, shower, tub, and stool area. However, when changes are needed to an existing bathroom Byrd Tile has a wonderful option that is a patented ADA compliant no drill grab bar. This product can even be installed by the homeowner! 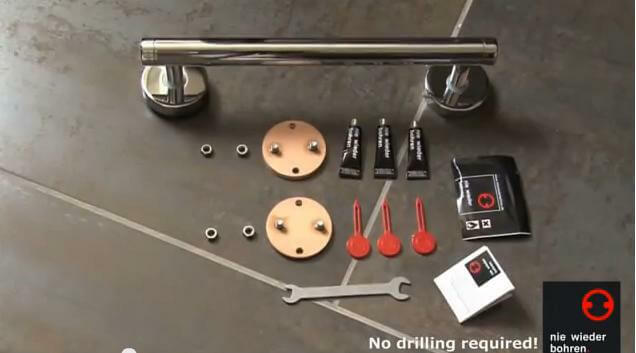 Check out THIS VIDEO on how to install. 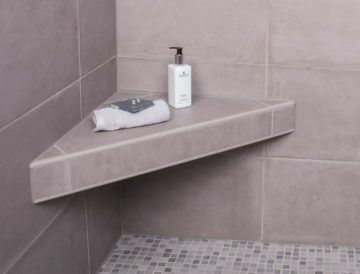 The portable seat for a shower or tub is certainly an option, however built-in seats can help prevent movement and slipping that occurs with a temporary seat. The “Better Bench”, shown here, comes in adjustable rectangular or 3 sizes of triangular seats. They are load bearing up to a 400 lb capacity and can be installed over existing surfaces. You will need to tile over these so if your current tile is not available you can always choose an accenting tile. 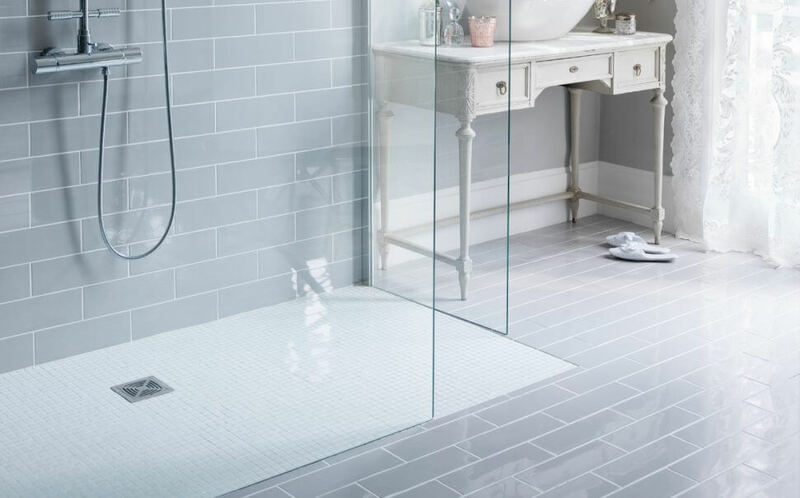 From today’s modern design appeal, to ADA or special needs requirements, ClearPath® curbless shower pan systems offer people of all ages the freedom to safely enter the shower without the need to climb over a threshold or curb. Many people not even planning for future needs choose this option because of the beautiful contemporary design. Just like saving money for retirement takes planning, preparing your home for your later years takes planning. HERE is a great article on senior living and aging in place. We can help you with your bathroom needs! Make an appointment with one of our Design Consultants today!